Scroll down to the bullet points for symptoms of an underactive or overactive heart chakra. So What is the Heart Chakra? Emotions are complicated: they are intensely personal and private, yet most of the time they are responses to relationships and circumstances outside of yourself. The Heart Chakra is a perfect reflection of this. As much as the Heart Chakra tells you about yourself and your own willingness to open up to the world or hide from it, its energy also lets the people around you know, on an energetic level, how much you are willing to give or receive. The state of a person's Heart Chakra can inform you of how receptive they are to emotional interactions. Ultimately, the Heart Chakra is a window into your most honest self. However much you grow and change one of the most consistent things in your life will be your emotional response to situations. This teaches you a lot about how you approach the world. Just as importantly, whatever emotion you feel - be it positive or negative - resonates within your Heart Chakras and from there out into the world changing it. Start with the Root Chakra and move up. Sometimes the imbalance is from somewhere below. Meditation. There are many guided meditations available on Youtube. Work with the color green; wear it, eat it, write in it, etc. Music. The Heart Chakra responds to music that makes you happy. 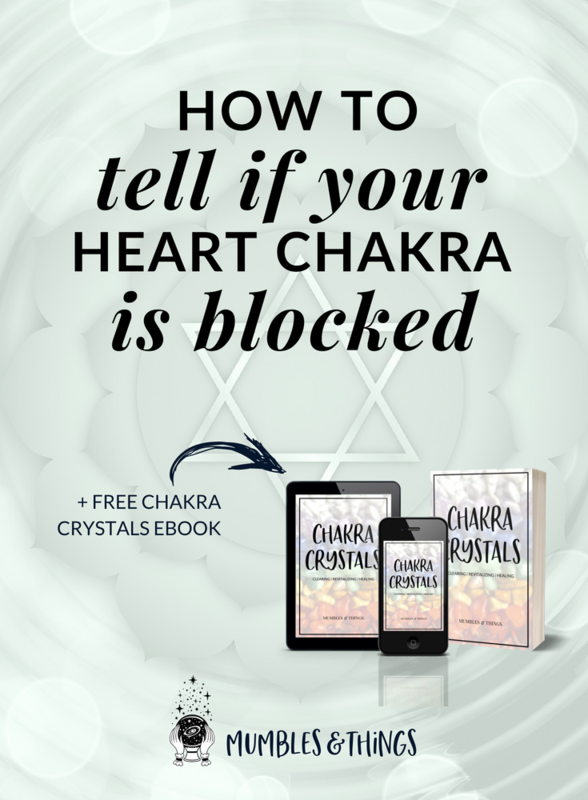 The Chakra Crystals eBook includes information about using crystals to heal and balance each of the seven main energy points of the body to encourage overall health and wellbeing. Check back for more posts in this series. Follow my Chakra board on Pinterest! Do you practice chakra healing? Tell me about it in a comment below.